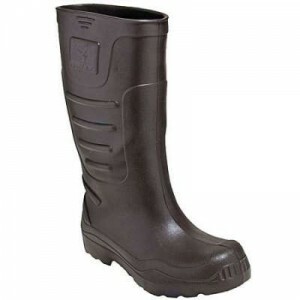 Tingley 21144 BRN EVA Ultra Lightweight Waterproof Brown EVA Boots are made with seamless waterproof construction. You won’t find a single thread that may allow water to pass through, not the tiniest chink to compromise your safety. These tall, brown boots are designed to be lightweight, approximately 70% lighter than other rubber and PVC knee boots. The 100% seamless construction gives you all-day waterproof protection.